> WA accelerates FIFO Code, releases four-step anti-bullying guide. Two of the first entities charged with reckless conduct under harmonised WHS laws have failed to overturn the charges, with a full court rejecting their claim that their duty to "other persons" was limited to the exact time of their alleged recklessness. 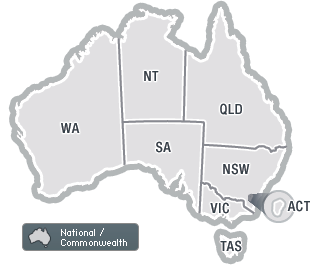 A parliamentary committee will inquire into an abandoned fatality-related WHS prosecution, while the powers of South Australian HSRs will be aligned with other states, if initiatives moved by the Greens are passed. Individuals could lose the protection against self-incrimination in the WHS Act in South Australia, with a mandatory review examining whether the unique provisions of the State's mirror Act adversely affect its operation. A not-for-profit organisation that assigns apprentices to host employers has become the first entity to be convicted for breaching the consultation provisions of the model WHS Act. NSW has updated seven of its mirror WHS Codes of Practice to reflect changes that Safe Work Australia made to the model versions of the documents earlier this year. > Five major injury causes identified on Steel Safety Day. The final quarter of 2014 was a busy three months for workplace health and safety and workers' compensation, with major legislative changes and other developments in all jurisdictions. What did you miss?